If you are or have ever been a cat owner, you're probably familiar with the "little nose prints popping up everywhere" phenomena. While cats don't see with their noses quite as much as dogs do, their magical cat abilities allow them to get places dogs can only dream of, so they have that going for them. Cats have many features that make them the sneaky, curious little creatures they are, like their tails, ears, and signature eyes. But their cat noses are the cherries on top, and they plant those little nose prints to let you know how much they love you as you are cleaning them off all the windows and mirrors! That's why no cat costume is complete without an adorable kitty nose! 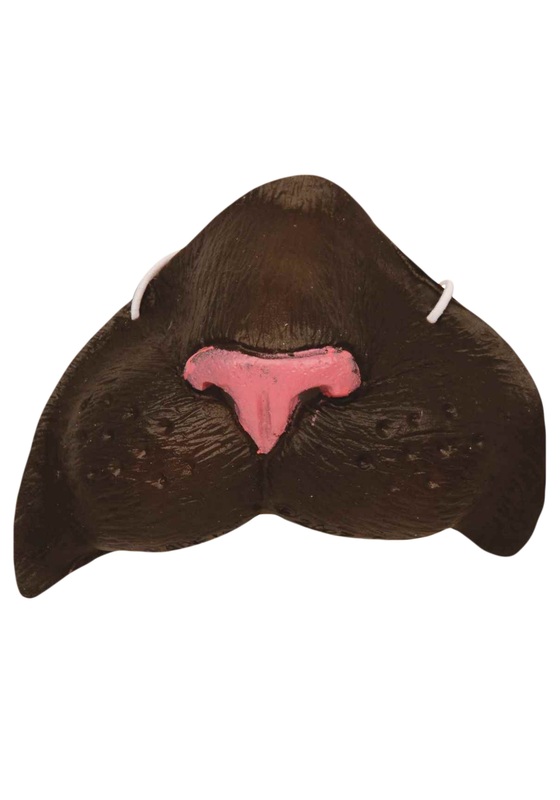 If you are putting together a black cat outfit or a cat themed cosplay, this Black Cat Nose will be the key that brings your costume together. It's a pretty simple solution to the often overlooked problem of not having a proper cat nose.